Below you fill find all funeral homes and cemeteries in or near Jacksonville. Jacksonville is also known as: Jackson County / Jacksonville city. Their current mayor is Mayor Paul Becker. Zip codes in the city: 97530. Some of the notable people born here have been: (ed wilkinson), (william %22bill%22 hanley), (pinto colvig), (kitty wilkins), and (alfred e. reames). Jacksonville is a city in Jackson County, Oregon, United States, about 5 miles (8 km) west of Medford. It was named for Jackson Creek, which runs through the community and was the site of one of the first placer gold claims in the area. It includes Jacksonville Historic District which was designated a U.S. National Historic Landmark in 1966. As of the 2000 census, the city population was 2,235. As of July 1, 2011, the city's population was estimated to be 2,800. It was noted by Klamath Falls Herald and News on March 22nd, 2019 that Myrl T Root passed on in Jacksonville, Oregon. Root was 81 years old. Send flowers to express your sympathy and honor Myrl T's life. It was written by Ashland Daily Tidings on March 9th, 2019 that Russell R Mee perished in Jacksonville, Oregon. Mee was 94 years old. Send flowers to express your sympathy and honor Russell R's life. It was disclosed by Ashland Daily Tidings on February 22nd, 2019 that Salvatore Berlingen died in Jacksonville, Oregon. Berlingen was 89 years old. Send flowers to express your sorrow and honor Salvatore's life. It was reported by The Mail Tribune on February 21st, 2019 that Lotte Heimann passed away in Jacksonville, Oregon. Heimann was 100 years old. Send flowers to express your sympathy and honor Lotte's life. It was revealed by Ashland Daily Tidings on January 20th, 2019 that Betty Louise Deforest (Collins) perished in Jacksonville, Oregon. Ms. Deforest was 93 years old and was born in Alhambra, CA. Send flowers to share your condolences and honor Betty Louise's life. It was disclosed by The Mail Tribune on January 1st, 2019 that E Arlene McKinney died in Jacksonville, Oregon. McKinney was 79 years old. Send flowers to express your sorrow and honor E Arlene's life. It was disclosed by The Mail Tribune on December 30th, 2018 that Paul Blythe Parker died in Jacksonville, Oregon. Parker was 96 years old. Send flowers to share your condolences and honor Paul Blythe's life. It was reported by Ashland Daily Tidings on November 20th, 2018 that Penelope Greenamyer passed away in Jacksonville, Oregon. Greenamyer was 73 years old. Send flowers to express your sorrow and honor Penelope's life. It was written by The Mail Tribune on October 4th, 2018 that Morris Wayne King perished in Jacksonville, Oregon. King was 79 years old. Send flowers to share your condolences and honor Morris Wayne's life. It was disclosed by The Mail Tribune on September 21st, 2018 that Jack Reavis passed away in Jacksonville, Oregon. Reavis was 71 years old. Send flowers to express your sympathy and honor Jack's life. Jacksonville is a city in Jackson County, Oregon County, Oregon, United States, a few miles west of Medford, Oregon It was named for Jackson Creek, which runs through the community and was the site of one of the first placer gold claims in the area. Evidence of this chapter of history was uncovered early in March 2004 when road work uncovered artifacts dating to the 1850s and 1860s. With the creation of Jackson County, it became the county seat, a role which was transferred to nearby Medford in 1927. It was cited as a: :'mid-19th century inland commercial city significant for its magnificent group of surviving unaltered commercial and residential buildings. 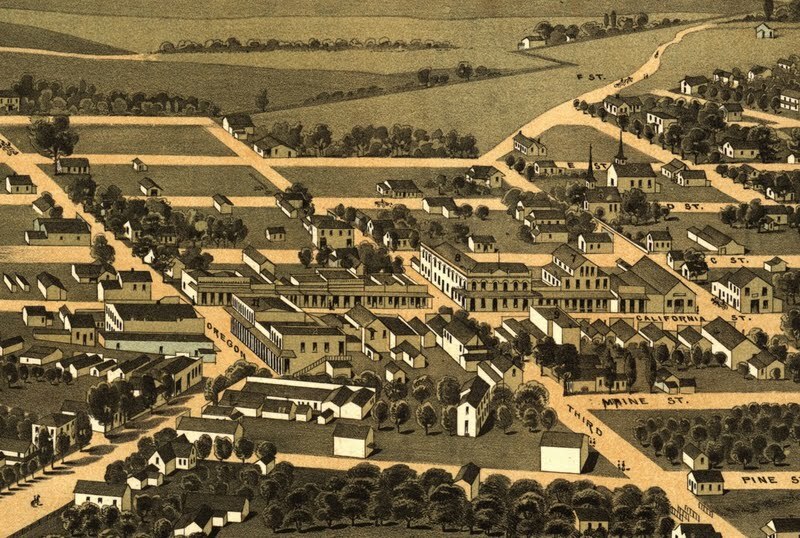 Jacksonville was home to the first Chinatown in Oregon, founded by immigrants from San Francisco, California. The official website for the city of Jacksonville is http://www.jacksonvilleor.us/. We work with local florists and flower shops to offer same day delivery. You will find budget sympathy flowers in Jacksonville here. Our funeral flowers are cheap in price but not in value.